By Japanese sensation Deep Impact and out of multiple Group 1 winner Peeping Fawn, September will have to be pretty special if she is to live up to her impeccable pedigree, but she could hardly have made a more impressive debut when bolting up by over five lengths at Leopardstown this month. Aidan O'Brien is not averse to running a potentially top-class prospect in the Chesham - Churchill won the race last season - and September can lay down an early Classic marker. Much of the pre-race focus will revolve around Dartmouth's attempt to provide his owner, the Queen, with back-to-back wins in the race, but the recent Yorkshire Cup winner could have a stiff task trying to fend off the up-and-coming Frontiersman. 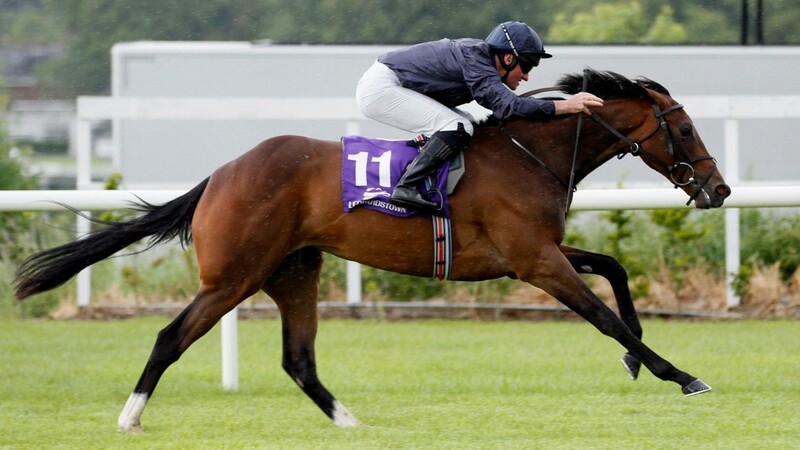 Winner of a red-hot handicap at Newmarket last month - the second and fourth have won since - Frontiersman took a big step forward in form terms when finishing runner-up to multiple Group 1 winner Highland Reel in the Coronation Cup. Frontiersman's Epsom effort was all the more meritorious as he looked unbalanced for much of the home straight, and there could be more to come back at a more conventional track. Librisa Breeze was one of the most progressive horses in training last season, with his rating soaring by 21lb during the campaign. Blessed with an electric turn of foot, Librisa Breeze proved particularly well suited by Ascot's surface, winning a pair of seemingly-competitive handicaps and finishing runner-up in the Hunt Cup. He failed to make an impression behind The Tin Man when stepped up to Group 1 company on his final start, but he wasn't disgraced, and the prospect of a large field and a strong pace may enable him to improve again.